Bounty on Kanhaiya? Neither ADARSH & definitely SHARMAnak! It is heartening to read that Adarsh Sharma has been arrested. His declaring a reward of Rs 11 lakhs to anyone killing Kanhaiya Kumar is abhorrent. There can be no Final Solution in a democracy. It is for the same reason Pappu Yadav’s comment declaring reward for whosoever kills those responsible for Rohith’s suicide is equally condemnable warranting similar action. It is because law is supreme that Kanhaiya is sought to be prosecuted. And Kanhaiya can escape punishment by showing he is not in violation of law. The whole exercise re-enforces the rule of law and allows for a structured discourse which is indispensable for an ordered existence notwithstanding conflict of ideas. Abuse in language like violence in action symbolises want of conviction in one’s beliefs. And a belief which is held without conviction is just a passing fantasy, a self-indulgence for personal pleasure which has no creed or doctrine and is merely passing sentiment. If we give credence to sentiment over belief mere offense NOT harm would be the basis of action and law would cease being founded on norms but would captive to the dominant ideology of the day. This is dangerous for democracy and if it is allowed to happen by supporters of a political party merely because that party is in power they will be defenceless when that party loses power because the criterion for action would be no principle but the dominant credo of the day. This is a very menacing situation because the stability and fidelity which gives credibility and worth to any legal system would be lost. Conflict of points of view makes for a robust society and the purpose with which freedom is granted to speech is NOT to obstinately hold onto one’s opinion but to correct it if in a principled clash it is found wanting. There is no hostility in such conflict ONLY engagement. It is only in this way that freedom of speech will NOT give way to “polarisation”. I have serious disagreement with a few things which Kanhaiya has been associated with and the exchange with those supporting him has been sharp but there is no bounty at stake and the thought of violence to support my point of view has never crossed my mind. 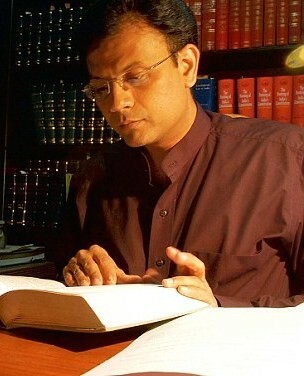 I will object to the allegation of “judicial killings”, to the association with Kashmiri separatists and with the espousing of anti-India sentiment but I am assured in my belief that the established system will both address and correct what I believe are aberrant ideas because I will put them to a successful test according to settled norms. Even if I fail the established system would have triumphed. No individual is bigger than the system. For the same reason assault even by the lawyers was unacceptable – far from showing strength it displayed a weakness and embarrassed a person like me because the mode of protest discredited my point of view. The way in which one protests is an indication of character. India today is engaged. This is wonderful. It shows it is different from Pakistan, China, North Korea and other countries. It also provides the assurance that every Indian should feel secure in it to make any thought of moving away from it unjustified. And it shows it rejects violence as the prop for any point of view. Physical attack and extermination show extreme scale of prejudice which is the reason we condemn Kashmiri Pandits being made to leave Kashmir. How then can the same method be adopted in a protest against what is believed to be an anti-national act? There is an inherent contradiction in the approach which exposes its utter untenability. It is because we will not tolerate sedition we also NEVER tolerate any Adarsh Sharmas either. And if we do it will not be Adarsh and will definitely be Sharmanak!